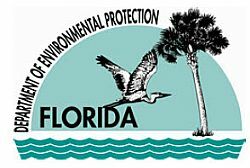 TALLAHASSEE – The Florida Department of Environmental Protection is soliciting grant applications for projects that reduce or eliminate nonpoint source pollution. Nonpoint source pollution, such as stormwater runoff, is pollution that results from many widespread sources rather than a single distinct origin. The application window for these water quality restoration grants, also called 319 grants, is now open and ends March 31. This call for new applicants follows the department’s recent awarding of more than $5.9 million in 319 grant funding to help local governments with several water quality restoration projects. The U.S. Environmental Protection Agency annually awards each state a grant to protect and restore watersheds affected by nonpoint source pollution. The department in turn selects high-priority, local restoration projects to fund with these dollars. Awards are targeted at projects designed to restore verified impaired springs, rivers, lakes and estuaries — those waterbodies that are known to not currently meet Florida’s water quality standards. The department ranks projects for funding based on estimated pollutant reductions. Funds may be awarded for construction, project-related monitoring and project-related public education. Project design, engineering, land acquisition, activities that treat point source water and activities required by federal permit are not eligible for funding. Project sponsors must provide a minimum 40 percent non-federal match, and projects may be sponsored by state agencies, local governments, colleges and universities, non-profit organizations, public utilities and water management districts.